Biker jackets have always been a definition of uniqueness and once a guy enters with the wear of biker leather jacket ,He will liked and loved by every third being around him because the biker jackets have always unique cool look.With time to time craftsman work harder and harder to edit and give new design and style in jackets. 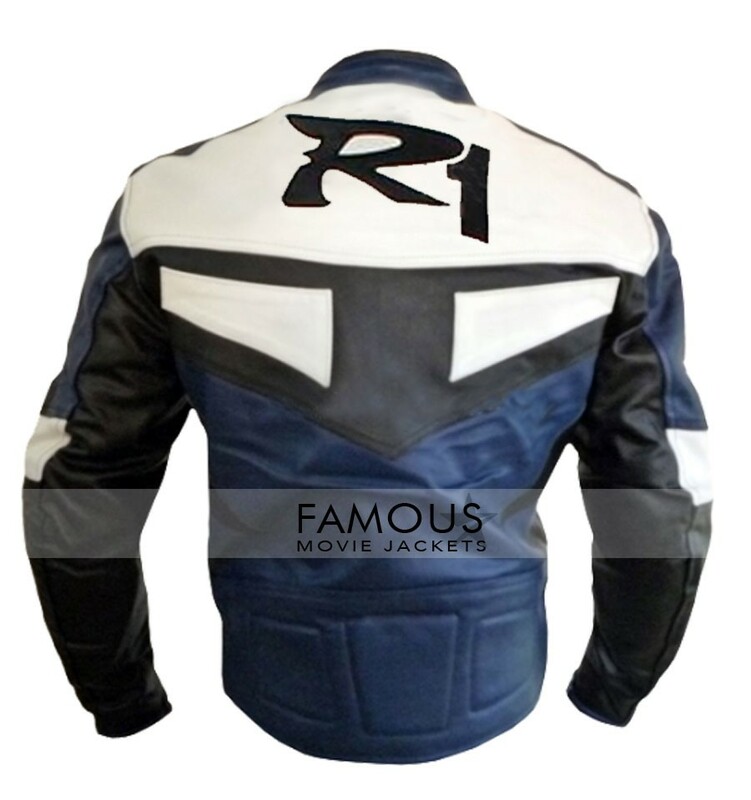 We famous movie jackets have a hardworking craftsman team the learnt of all and the workers of all always in search of edit style to satisfy the new needs of our customer with social look away from urban style trendy look. 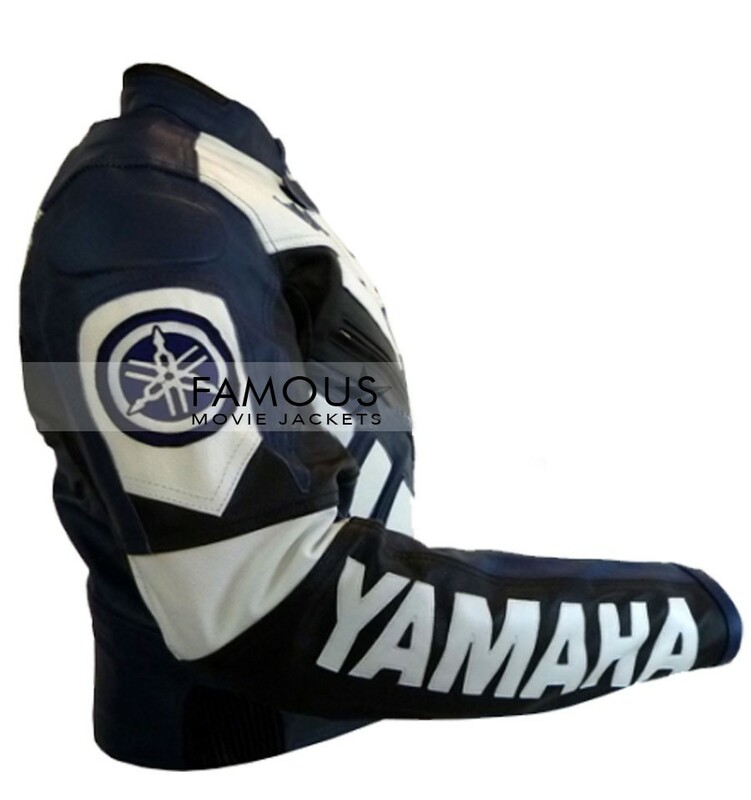 As far as our quality is concerned we assure you that this Yamaha R1 Blue/White Motorcycle Jacket is best of all jackets we ever introduced. It is cool, attractive,pure and the main thing too good comfortable to wear in every sense. Get this thing on too look like best bikers. 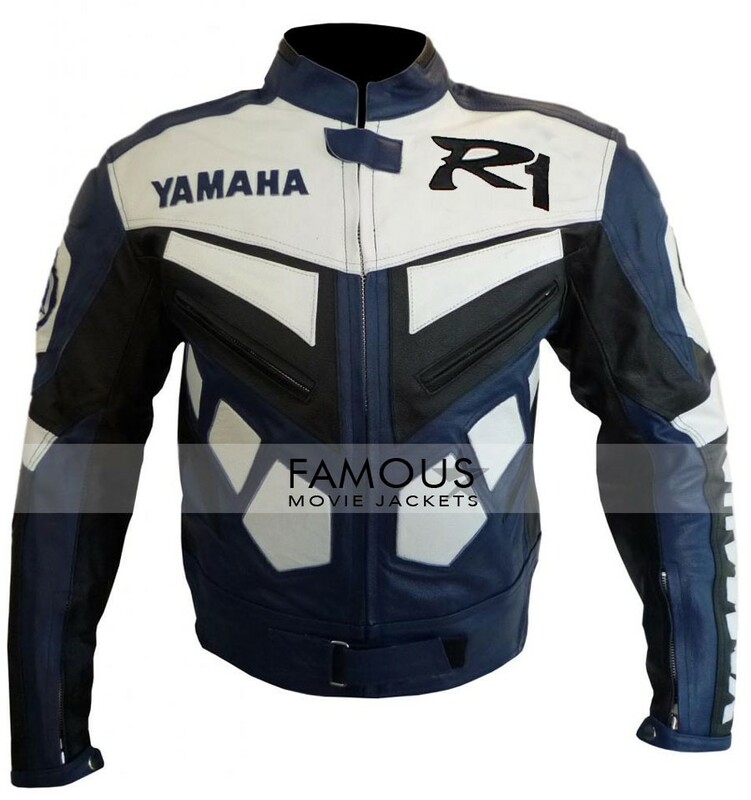 Really satisfied with new style away from old trendy biker jackets but feel like quality of stitching is little weak but overall this Yamaha R1 Biker Jacket is good to wear.